Andy Burnham, the Shadow Home Secretary and Member of Parliament for the North West constituency of Leigh has been nominated as Labour’s candidate for Mayor of Greater Manchester. The former Cabinet minister bested interim Mayor Tony Lloyd and Bury South MP Ivan Lewis in the contest, achieving 50.1% of the vote on a turnout of 65.3%. 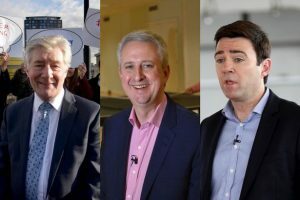 Andy Burnham – 3,792 Votes,Â Tony Lloyd – 2,163 Votes, Ivan Lewis – 1,472 votes. Mr Burnham said: “To be selected as Labour’s candidate for the first elected mayor of Greater Manchester is a great honour and I thank our members for the faith they have shown in me. “I will repay it by devoting all my energy to uniting the Labour family here, working to win back the voters we have lost and building a policy programme with broad appeal.